Toyota motor corporation is one of the leading automotive companies in the world. Discover various Toyota service centers in Lagos, authorized dealers, car prices and everything you need to know about the Toyota brand! Are you looking for a Toyota service center in Lagos? Naijauto.com has put together this ultimate guide to give you all the information you need. But first, let’s go down memory lane about the automotive company. Japanese international automotive firm Toyota Motor Corporation started out in 1937 by Kiichiro Toyoda as an offshoot of Toyota Industries. In the beginning, the company was into the production of automobiles while it was still under the roof of Toyota Industries. Three years after, it manufactured its very first product called the Type A Engine. In 1936, it manufactured another product – its first passenger car known as the Toyota AA. Toyota Corporation, has over the years, developed five brands under which it produces its vehicles. These brands include: the Toyota brand, Lexus, Hino, Daihatsu and Ranz. In terms of hybrid electric vehicles, Toyota holds the number one position in the world market. Notably, it was among the top companies that pushed the movement for hybrid vehicles to be accepted and adopted in many countries across the world. You cannot talk about hydrogen fuel-cell vehicles without mentioning Toyota. It’s one of the leading brands on the market. In 2017, combined sales of both Toyota and Lexus passenger hybrid cars hit the milestone of ten million. Prius Family from Toyota is selling like wildfire, making it the number one hybrid nameplate as it has sold over six million units across the globe. As of 2017, the corporate structure of the company was made up of about 364,445 staff all over the world – making it one of the automotive companies with the highest number of employees. And in September 2018, it became the sixth company all over the word in highest revenue. Also, in 2017, Toyota was the second largest automotive manufacturer in the world. In the history of vehicle production, Toyota was the very first company to produce over ten million vehicles every year. And it has consistently maintained this record since the year 2012. Its headquarters of Toyota is in Tokyo Aichi, situated in a four-storey building. The Toyota brand made its debut into the Nigerian market in 1965. By the following year, its distributors had grown to five. After ten years, Toyota Motor Corporation created room for two additional distributors. Poor performance was the reason for the addition as some of the already existing distributors weren’t stepping up to the plate. The timing of the entrance into the Nigerian market wasn’t perfect as the country was in the process of an economic transformation. The government at the time had implemented a Structural Adjustment Program (SAP) in a move to create stability in the system. In 1995, there were only four surviving distributors for the company, and one of them was Elizade Niigeria. 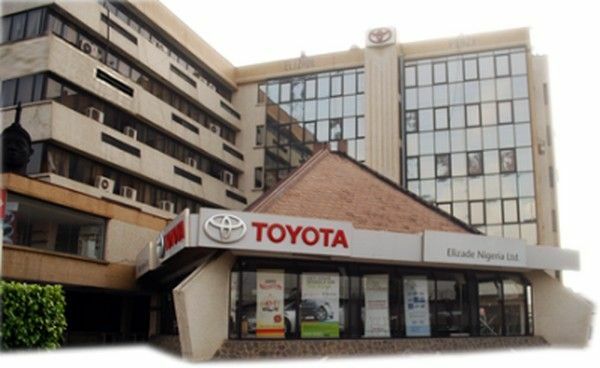 In an attempt to make business process easier, Toyota Motor Corporation Japan made the decision to consolidate her operations by giving the role of sole distributor to Toyota Nigeria Limited. By the following year 1996, Toyota Nigeria Limited (TNL) started operations as the only distributor of Toyota in Nigeria. When the Toyota brand newly came into the country, it had to work really hard to gain the acceptance of Nigerian consumers. At the time, there were brands that Nigerians were already used to. This made it difficult for Toyota to hit it off immediately. It’s been two decades and counting, and Toyota Nigeria Limited has held the coveted title of exclusive distributor of the Toyota Franchise in Nigeria. Interestingly, it has done a very good job of pushing the Toyota brand to the top, making it one of the most sought-after brands in the automotive space in Nigeria. Such a huge success couldn’t have been possible without the efforts of the company’s board of directors which is led by Chief Michael Ade. Ojo OON. His track record is full of ingenuity, resilience, passion and hard work. All of these have paved way for the brand in the midst of fierce competition. Toyota is indeed very popular among Nigerians today. This is evident in the number of Toyota brands available on Nigerian roads. In a bid to ensure that users of the Toyota brand are well catered to, Toyota Nigeria has made available a number of Toyota service centers across the city of Lagos. These service centers are authorized. Hence, they have the technical skills to handle various problems arising in Toyota brands. 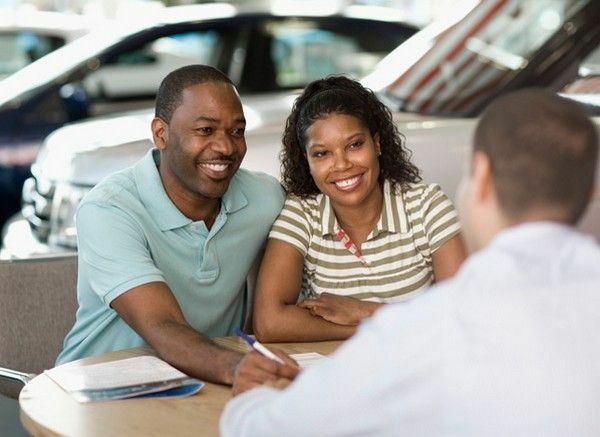 If you ever have a need to take your car for repair or servicing, it’s important that you go to these places where you’ll be in safe hands. R.T. BRISCOE PLC 08060297988 or 014520516 6/18 Fatai Atere way, Matori Oshodi, Lagos. GERMAINE AUTO CENTRE 07045533432 or 07045533433 2nd Roundabout Lekki Express way, v/Island , Lagos. MANDILAS ENTERPRISES LTD 017754113, 017418114, 08023036548, 07033422256 35, Simpson Street, Lagos. KOJO MOTORS LTD 08023135908, 08077692642, 08067779150, 08077692630, 08077692639 59, Rasaq Balogun Street, Surulere, Lagos. The service hours vary in different service centers. However, most of them open at 8 a.m and close at 5 p.m. That's why you should call and book service before you come or choose a safe time period like 10 in the morning or 2 in the afternoon to make sure they are available. 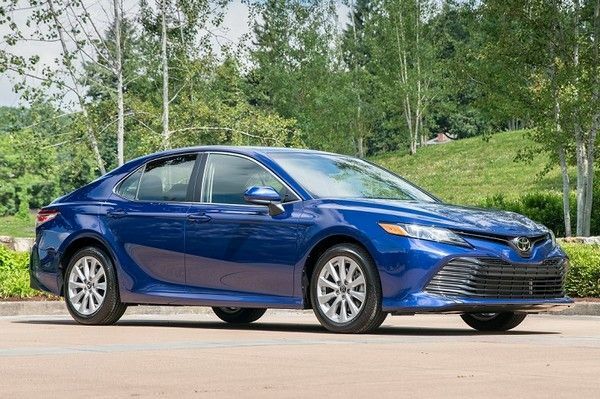 One of the reasons why Toyota dominates the automotive industry is its affordable prices. As this automaker has introduced countless models to the market, listing all their prices here is impossible but Naijauto has managed to combine a comprehensive price list of Toyota cars in Nigeria for your reference. Please click onto the link to view all. Below are just our briefing so you can have an overview of Toyota car prices in the country. Toyota Nigeria has designated dealers for the Toyota brand in Lagos. They are the go-to places for Toyota vehicles. You cannot talk about Toyota vehicles in Nigeria without mentioning Elizade. It’s one of the major dealers of Toyota brands in Lagos. If you are looking to get a brand new Toyota vehicle, your best bet is Elizade. Elizade opened for business as a company into automobile marketing in 1971. It obtained its incorporation as Elizade Nigeria Limited in 1973. It became an exclusive dealer of Toyota vehicles and Toyota spare parts in the country in 1976. Over the years, Elizade has marketed, sold and serviced Toyota vehicles in Lagos, as well as other states in Nigeria. It has grown to become a top dealer of Toyota brands. Its first Lagos office was located in Ikeja, Lagos State Nigeria. Elizade was the initiative of Chief Michael Ade-Ojo. Its vision manifested as the years passed by. It all started when Chief Michael Ade-Ojo started a relationship with his wife back in the University of Nigeria Nsukka (UNN) in the 1960s. As a student, he made a decision to start his own business within ten years of working. It didn’t take up to ten years for that to happen. Within six years, he realized the dream. Elizade was coined from his wife’s name Elizabeth and his name Ade-Ojo. Elizade Trading Stores was registered as a business name in 1968. The business was a product of a nuptial relationship. Till this day, that has been one of its strengths. Core characteristics of the company such as self-discipline, foresight and determination which were the pillars of the couple’s relationship are the foundations of the company. In 1971, Elizade Independent Agencies was created, specializing in automobile marketing. The business recorded huge success, and soon, Toyota became its major product. It got the license to be one of the five distributors of Toyota in 1976. Incorporated in 1957, Briscoe as the company is popularly called, is one of the top Toyota dealers in Lagos. They were actually the first dealer of the brand in Nigeria. Briscoe also deals in Ford. JCB Generators, Elgi Compressors and Real Estate. 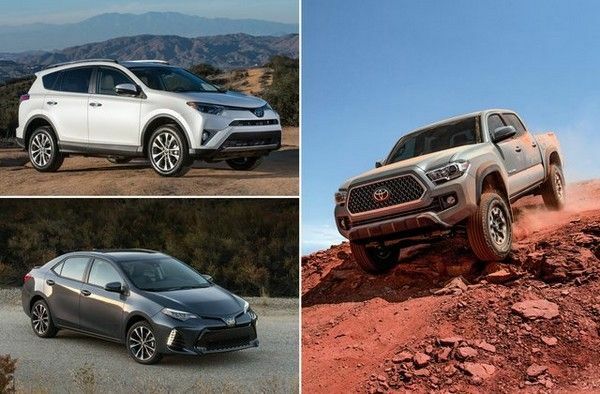 They have an impressive Toyota lineup which includes SUVs, Pickups, CUVs and Buses among others. Omoregie Motors is one of the Toyota dealers in Lagos. They have built an impressive resume over the years among Nigerians. Germaine is an authorized Toyota car dealer in Lagos. They are known to provide some of the best Toyota brands you can think of. There’s a popular place in Lagos called Mandilas – this is related to the Mandilas Group which was established in the 1940s to deliver high quality products and services. At its inception of selling cars, Mandilas specialized in Volkswagen vehicles, following their introduction of the brand to the Nigerian market in 1953. In 2002, the company became a major dealer of Toyota vehicles. Address: 35, Simpson Street, P.O. Box 35, Lagos. Check out the brand new Toyota Concept-i, just amazing! Kojo motors was founded in 1988. It has grown to become a top distributor of Toyota vehicles in Nigeria. Its range of Toyota brands include Hilux, Corolla, Camry and Avensis among others. Their headquarters is located in Lagos with branches in Abuja, Benin and Port Harcourt. The Kojo team takes pride in competence, offering excellent services. They are also in the business of customizing vehicles to meet clients’ specific needs. Metropolitan was incorporated in 2001. It’s one of the authorized dealers of Toyota vehicles in Lagos. Showroom/Spare Parts/Workshop: 1-3, Akilo Road, Off Oba Akran, Ogba. Lagos. Showroom: 1,Joel Ogunnaike Street, G. R. A. P.O Box 9336, Ikeja, Lagos. | 1, Sobo Arobiodu Street, G.R.A. Ikeja, Lagos. Car ownership has become quite common in Nigeria. At every turn, there are many cars. This explains why there are traffic jams in most areas especially in the cities. There are different cars at different rates, including brand new, Tokunbo and Nigerian used. Where you get your vehicle from is very important. After spending so much money on acquiring one, it’ll be bad to have to put up with unnecessary vehicle problems. Toyota has become a force to reckon with on the Nigerian automobile market. They deliver some of the best vehicle designs at very affordable prices. In addition to these, there are various Toyota service centers in Lagos and across Nigeria to cater to your vehicle needs.